Tender, golden and delicious! 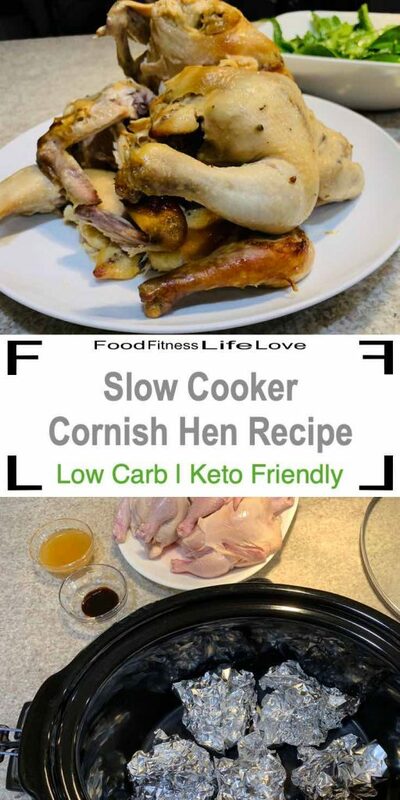 This Slow Cooker Cornish Hen Recipe is easy to prepare. The molasses, honey and garlic make a gourmet flavor combination. 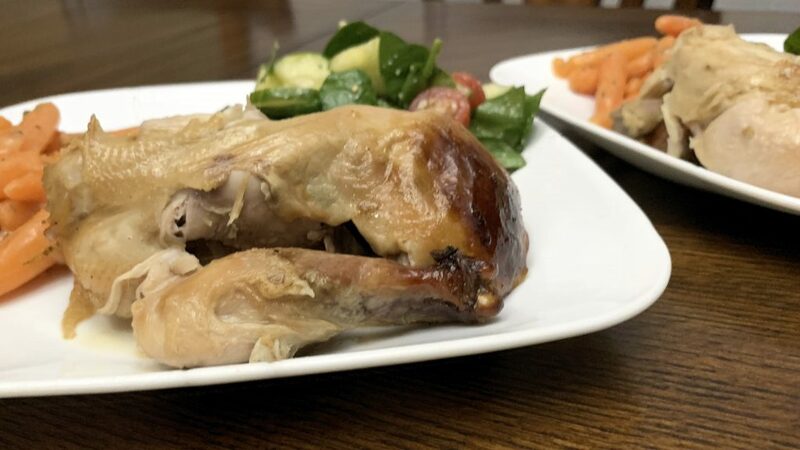 There’s something about Cornish hens that just says gourmet. Maybe it’s because they’re beautiful and delicate, small enough for everyone to enjoy their own half a bird, which always looks impressive on a plate. My dad often made them on special occasions, which makes them even more memorable for me. 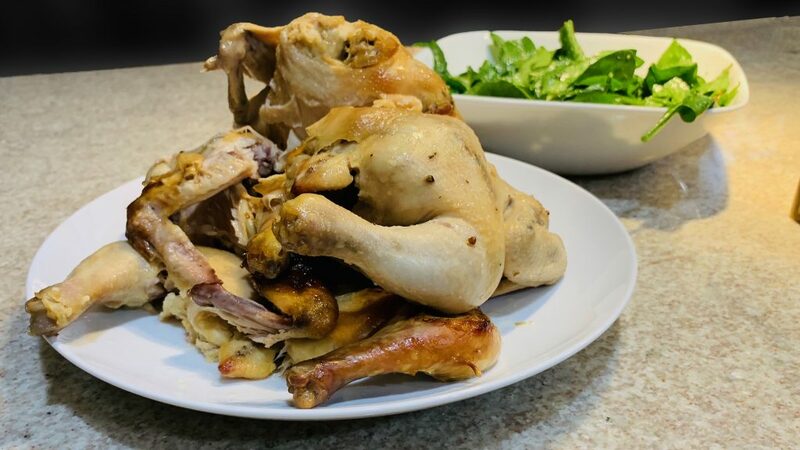 The truth is, Cornish hens are easy to make despite their gourmet reputation. In my dad’s recipe, the Cornish hens are roasted in the oven. I wanted to recreate this in the slow cooker, so I could set it and forget it. 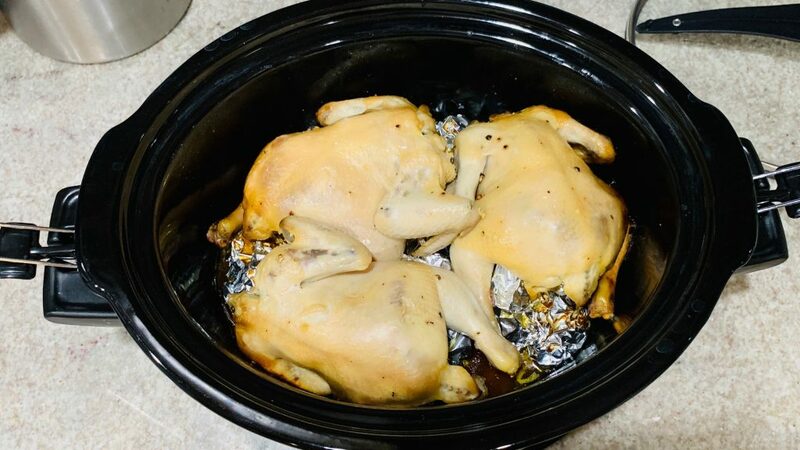 The trick to roasting in the slow cooker is creating a foil rack in the bottom, so the skin gets golden and crispy, instead of soggy, as the meat cooks. Just a few foil balls will do the trick. 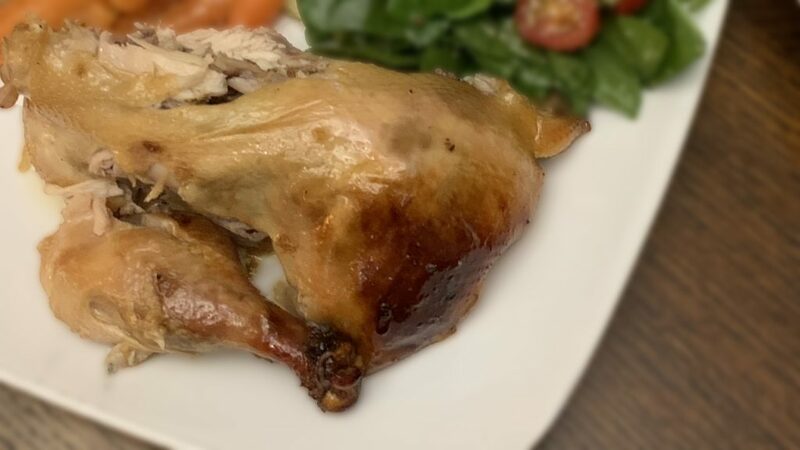 Beautiful golden, crispy skin, and tender juicy meat. It was actually difficult for me to get these out of the cooker whole to take pretty pictures because they were fall apart tender. 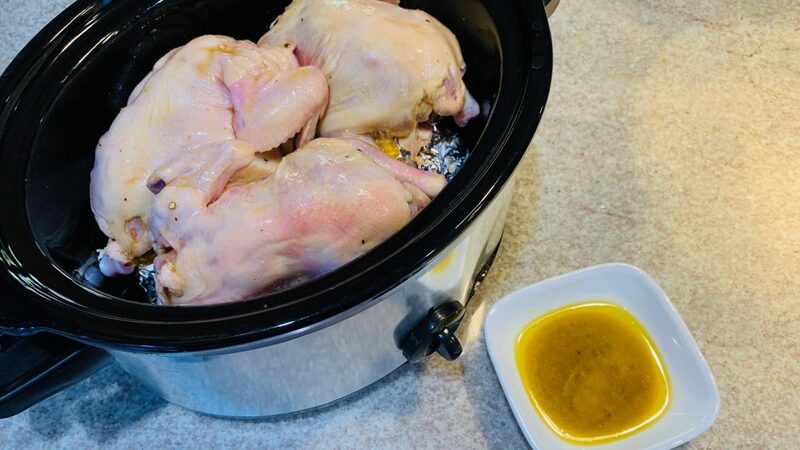 The whole family loved this Slow Cooker Cornish Hen Recipe. 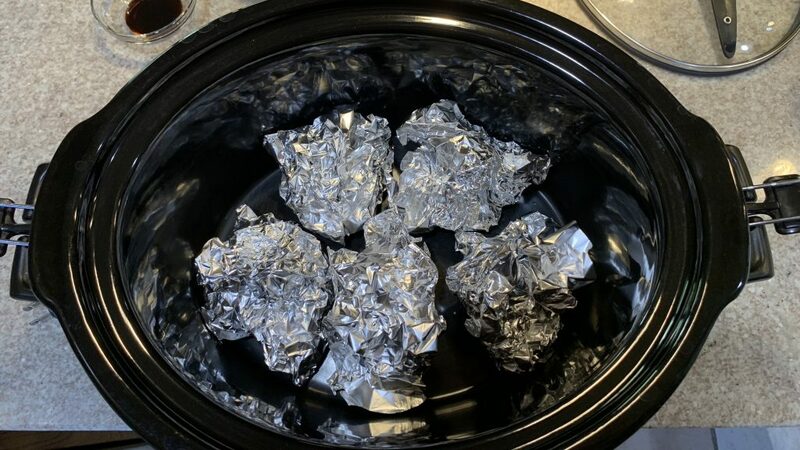 Make a foil ball “rack” in the bottom of your slow cooker. Place the 3 Cornish game hens on top of the foil rack. Mix together the remaining 6 ingredients. Baste the hens with half of the sauce, reserving the other half for later. 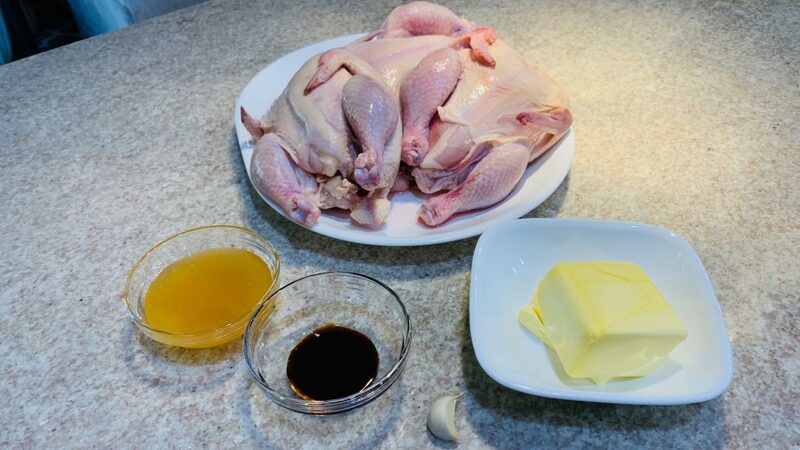 1 hour before serving, baste the Cornish game hens with the remains sauce. After the last hour, carefully remove the hens and enjoy.